Dr. Casarettoat the finish line with Ken Thirty, Davita’s CEO. Alberto completed the whole three-day ride, 200 miles, 2 days in the rain, and sleeping in a tent every night, all for his patients back home. Now, this is dedication! Go Alberto Casaretto! Tour Davita is officially over. 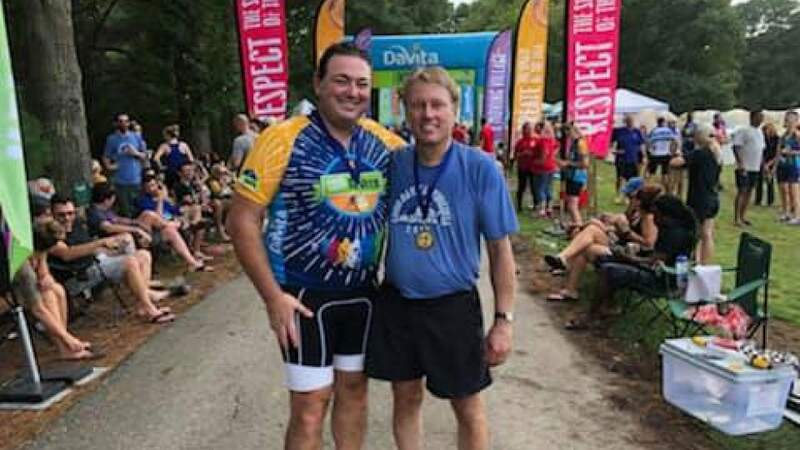 Here is Dr. Casaretto at the finish line with Ken Thirty, Davita’s CEO. Alberto completed the whole three-day ride, 200 miles, 2 days in the rain, and sleeping in a tent every night, all for his patients back home. Now, this is dedication! Go Alberto Casaretto!